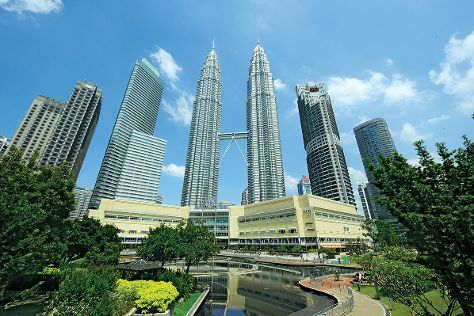 An unusual blend of a developing nation and the modern world, Malaysia ranks as one of the richest countries in Southeast Asia, its prosperity largely resting on thriving high-tech industries. Malaysia vacations remain a more affordable alternative to the expensive tourism in some neighboring countries. Take a trip to Malaysia to explore busy cities filled with colonial-era architecture, tranquil tea plantations supporting a large portion of the local population, and dozens of scattered islands happily evading the worst aspects of mass tourism. While there may be fewer visitors, there's no shortage of fine beaches, mangrove estuaries, and verdant rainforests filled with exotic wildlife. Malaysia is in Asia. Use our Malaysia trip planner: Malaysia and all its delights await.